Did you know that your hormones affect everything from your ability to eat, your ability to sleep and the way that body fat is distributed in your body? Abnormal or out of whack hormones can affect your libido, your ability to concentrate and can also cause depression. 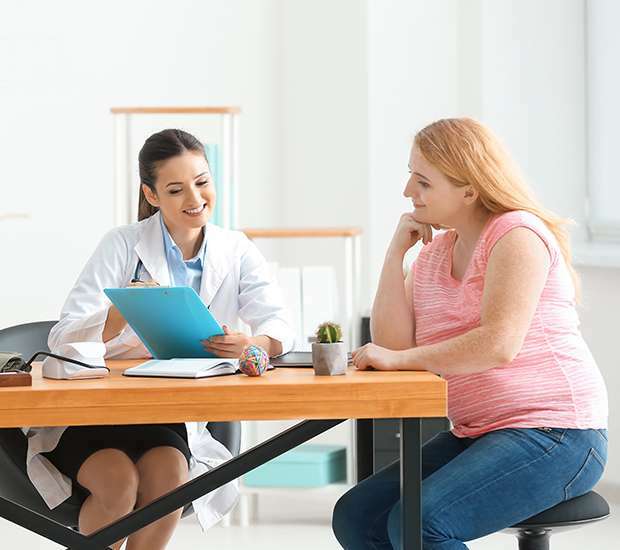 Most patients that come to our office and are looking to lose weight or improve their body image have hormonal issues that can be addressed and corrected with the balanced hormone plan. This may include estrogen balancing and modifying or adjusting your thyroid hormone. It may also include adjusting testosterone and progesterone levels. Additionally, we can even include the human growth hormone. This is what a lot of athletes are using to enhance performance, but in medical doses and under the supervision of a physician, they can be used to help reduce body fat, maintain lean muscle mass, prevent hair loss and make your skin look better. They also give you more vigor and vitality to help you continue on with your exercise regimen. Are you tired of doing all of the right things that you are supposed to do to lose weight, but that scale is just not budging? Do you weigh about the same as you did ten years ago, but your body looks totally different and your clothes are 2 sizes larger? This plan may be just what you need to get your old body back! As we age, the balance and ratios of our hormones change. For most women, estrogen and progesterone levels decline, while androgen levels (testosterone and DHEA) can increase or decrease. In men, testosterone, DHEA, and progesterone levels may drop, while feminizing estrogen levels go up. In addition, everyday stresses of life can throw cortisol, the “stress hormone,” out of whack, making us feel run down during the day and promoting storage of calories as fat. The body responds to these changes in hormone levels by, among other things, accumulating fat around the abdomen, creating more of an apple shape. These changes not only shift how and where fat is stored in our bodies, but they also increase the risk of osteoporosis, mental decline, stroke and cardiovascular disease, . Most weight loss programs invoke images of dry salads, hours in the gym, and dessert deprivation. Hormone testing probably does not come to mind. Attempting to lose weight without addressing the hormonal component is like going to the gym and then eating a big piece of chocolate cake. Focusing on whole foods, reducing refined carbohydrates exercising as prescribed by your doctor and treating any hormone imbalances will help you successfully lose weight and keep it off. As we age our basal metabolic rate (BMR) slows down, increasing the number of calories that are converted to fat. Estrogen is stored in fat cells and, as estrogen levels drop, your body compensated by storing more fat. Hormone changes redirected the body to store fat in the attempt to conserve hormone and energy stores. However, these stores are often counter-productive to health and well-being. The thyroid gland has an impact on metabolism. Iodine and Vitamin D can impact how well the thyroid gland is functioning. Low Iodine and Vitamin D levels can contribute to underlying factors in the struggle to lose weight. These are just a few of the factors that come into play when fat loss becomes increasingly difficult every year. Balancing your hormones today can help facilitate easier, lasting weight loss. Hormone testing and follow up monitoring is a critical step in a successful weight loss program. Testing may involve salivary hormones and blood test. Due to the complexity of the endocrine system, issues rarely stem from a single hormone. Get tested today!